No political prisoners have been released as again promised by the Government of the Republic of the Philippines (GRP) negotiating panel during the fourth round of talks and by President Rodrigo Duterte during a press conference days after the Presidential election in 2016. The 5th round of the peace talks between the GRP and the National Democratic Front of the Philippines (NDFP) in Noordwijk aan Zee, The Netherlands is scheduled on May 27 to June 1, 2017. The last and only release of political prisoners by the GRP in line with the peace talks were in August before the 1st round of talks started where 19 NDFP consultants were released to enable them to participate in the peace talks. The rest of the political prisoners released were through the efforts of human rights group and their lawyers. 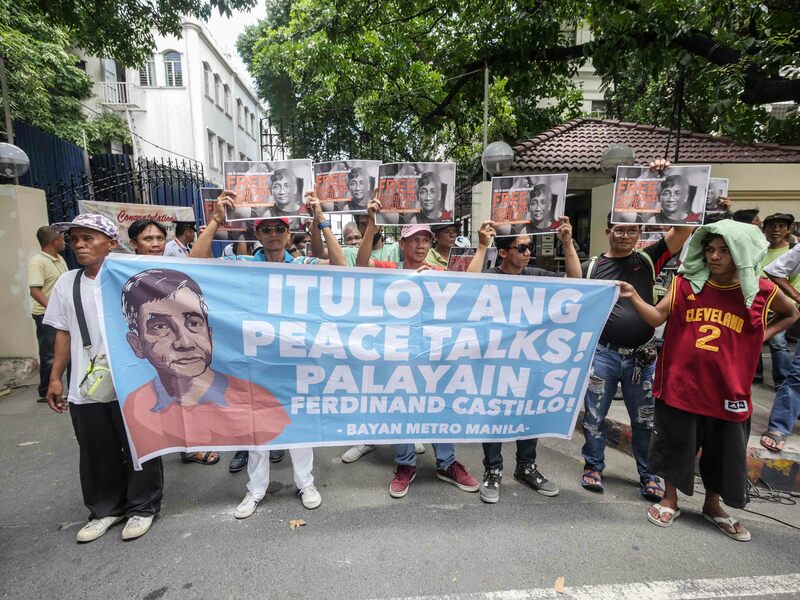 “Nothing happened, instead, they arrested additional activists and NDFP consultants,” said Crisitina Palabay, Karapatan’s Secretary General in an interview with Manila Today. According to Karapatan’s documentation as of May 15, 2017, 39 political prisoners have been arrested and detained under President Rodrigo Duterte’s administration with a total of 402 political prisoners still incarcerated. Among those arrested are three JASIG (Joint Agreement on Safety and Immunity Guarantees) protected NDFP consultants, Ferdinand Castillo, Promencio Cortes and Rommel Salinas. A total of seven NDFP consultants are still detained in GRP prisons. The Comprehensive Agreement on the Respect for Human Rights and International Humanitarian Law (CARHRIHL) signed by the GRP and NDFP in 1998 also obliges the GRP to review the cases and release political prisoners. In Karapatan’s May 27 letter addressed to Sec. Silvestre Bello, III, GRP’s chief negotiator, which was released also to the public, Palabay reminded Bello of the documented cases of CARHRIHL violations they have filed before the Joint Monitoring Committee (JMC). “What then will happen to the more than 400 political prisoners who have been promised amnesty by Pres. Duterte? Will they face more years of injustice, while the soldiers and policemen who illegally arrested, tortured and detained them are enjoying their freedom from accountability? Certainly, their continuing incarceration is a clear violation of the CARHRIHL,” expressed Palabay in the letter. The opening of the fifth round of the GRP-NDFP peace talks on May 27 was disrupted due to GRP’s demand to have “clear indications that an enabling environment conducive to achieving just and sustainable peace” amid the Communist Party of the Philippine’s (CPP) order to the New People’s Army (NPA) to intensify offensives due to Defense Secretary Delfin Lorenzana’s statement that the NPA is among the target of the AFP while Mindanao is under Martial Law. The NDFP, however, maintained that the substantive agenda should be followed and the Comprehensive Agreement on Social and Economic Reforms (CASER) is the main item of the fifth round. Both parties have expressed willingness to resume the fifth round of formal talks, with the third panel-to-panel meeting still scheduled tomorrow even the talks have not formally opened.